for $465,000 with 4 bedrooms and 3 full baths, 1 half bath. This 3,511 square foot home was built in 2005 on a lot size of 0.430 Acre(s). Beautiful Harrisburg 2 story home features 4 beds plus a bonus room, 3.5 baths and over 3500 square feet. 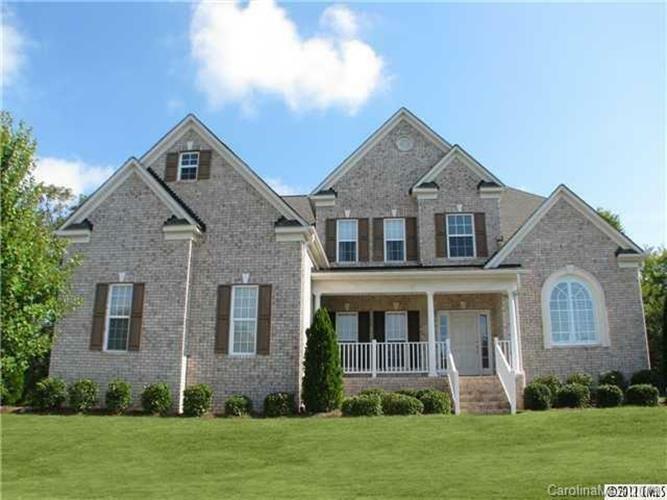 Enjoy the office, formal living, dining room, breakfast nook, and family room with a fireplace. The master bedroom DOWNSTAIRS features dual vanities, a jet tub and large shower. Large bonus room upstairs has 2 attic doors for extra storage areas. The home offers three car garage, deck and wooded lot for extra privacy. Close to I-485 and UNCC.